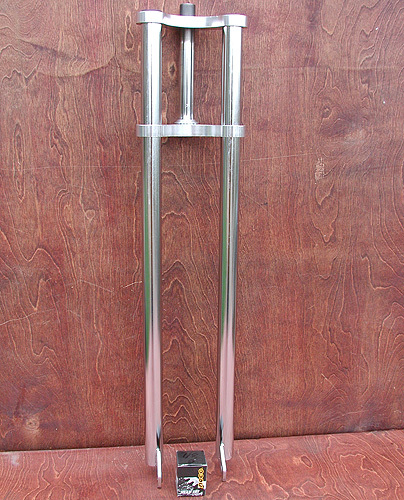 Chrome Road Bike Fork with 1″ Threaded fork tube & headset. 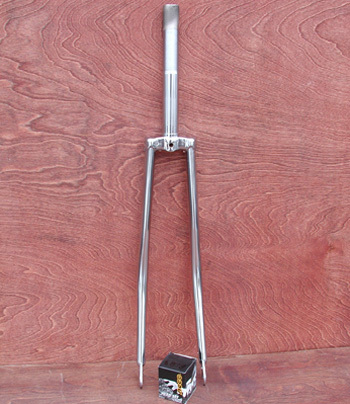 A Nice Vintage style replacement fork, perfect for your Vintage Roadbike, Fixie, Fixed Gear, Single Speed Bicycle. 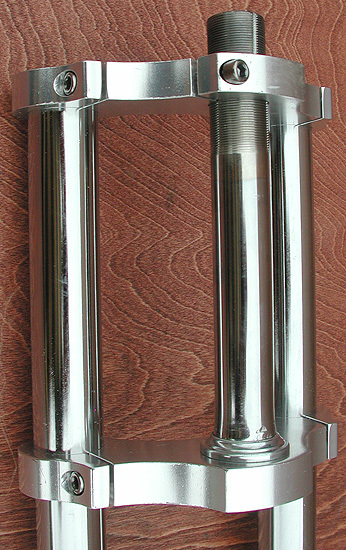 Fork accommodates Both Vintage 27″ and 700c wheels. 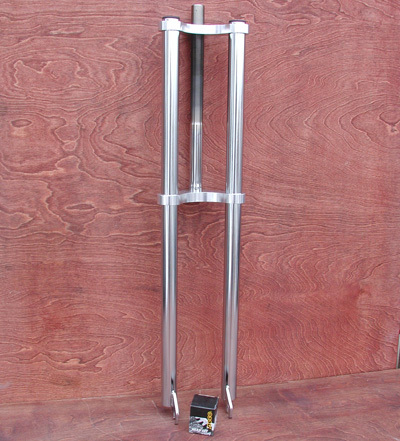 You will notice the steer tube is real long and will need to be cut down. Fork will take some simple Customization to Fit your Bike. You will Have to Cut the steer tube to fit your Bike and use the Head set included for a proper fit. 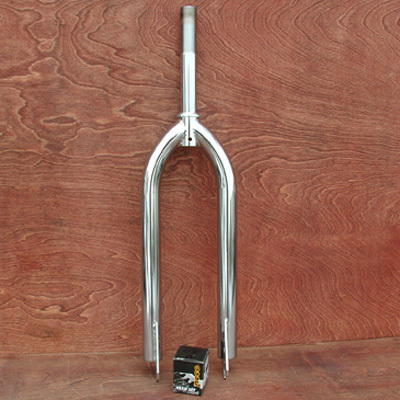 The Fork will fit Vintage Roadbikes that takes a 1 ” Steer tube. The Headset that is included will fit most traditional lugged Vintage Steel Road Bikes. The headset does Not Fit Schwinn Road Bikes.